Business in Finland? Contact us. 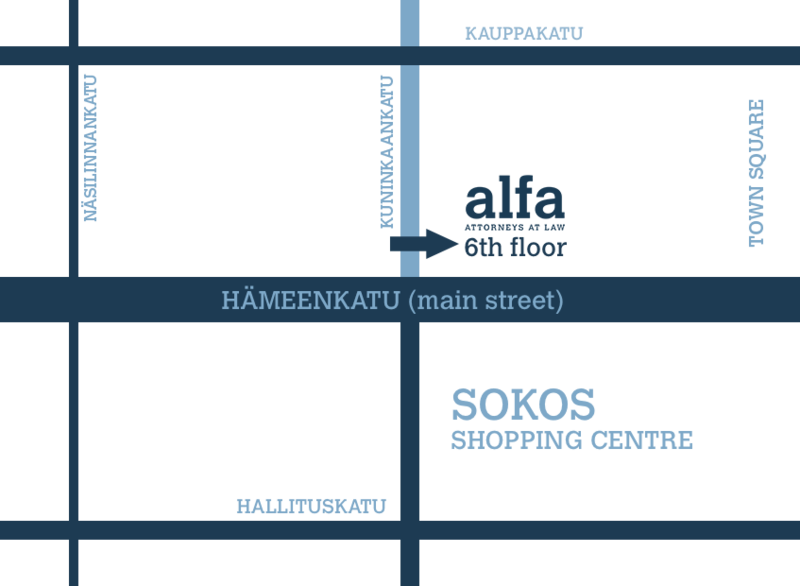 Our premises are located at the heart of Tampere, at the corner of Hämeenkatu and Kuninkaankatu. The entrance is on the Kuninkaankatu Street side, next to convenience store R-Kioski. You will find our offices on the 6th floor.